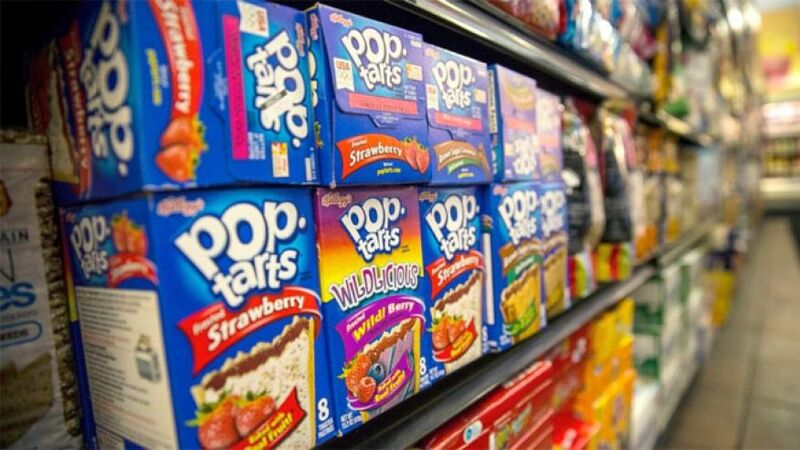 Introduced in 1964, Kellogg’s Pop-Tarts have become a pop culture phenomenon boasting a host of odd & unusual flavors only a Nyan Cat could love. 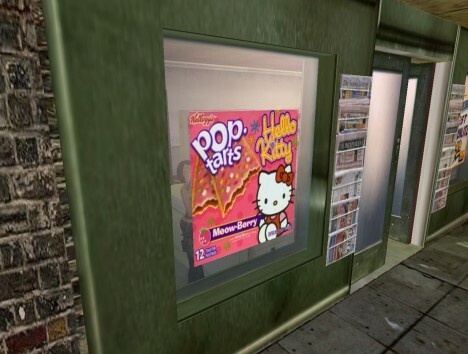 Strawberry Pop-Tarts taste like strawberries, S’mores Pop-Tarts taste like S’mores, and Hello Kitty Pop-Tarts taste like Japan’s sweetest character cat, of course! Credit Flickr users Valent1ne Apogee and Jason Cosper (boogah) for the photos above. 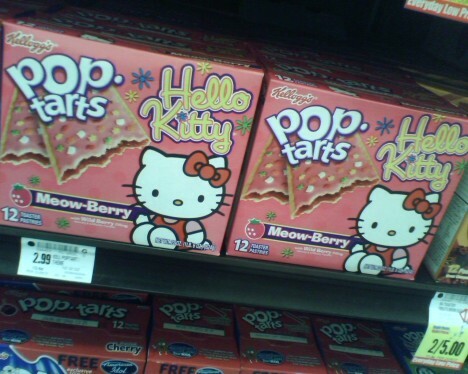 Hello Kitty Pop-Tarts featured “Meow-Berry” filling, whatever that is. 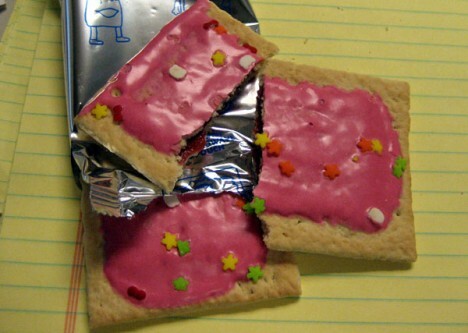 Considering the pink frosting iss embedded with little Hello Kitty faces and red hair bows, the sickly sweet gooey red filling must be… noooo, let’s not go there! 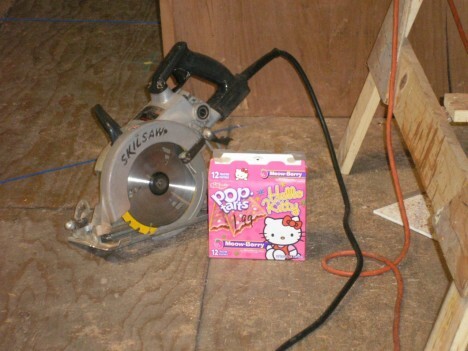 And ignore the chainsaw in Annellese Zemp‘s photo above as it has ZERO connection to the manufacturing of Hello Kitty Pop-Tarts. Yeah, that’s the ticket! 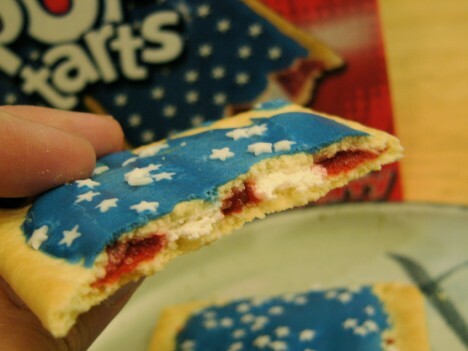 Pop-Tarts may have been inspired by traditional English mince pies but does that mean every possible pie flavor works as a Pop-Tart filling? Whether it works or not, Kellogg’s is gonna give it a shot. 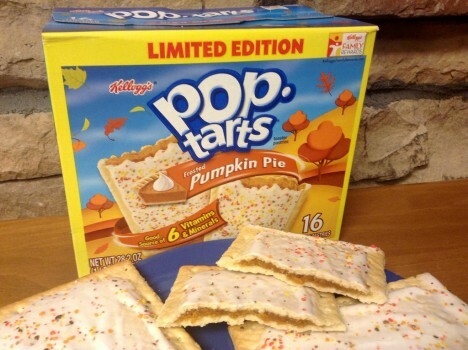 Take Pumpkin Pie Pop-Tarts… you were expecting maybe Pumpkin Spice? 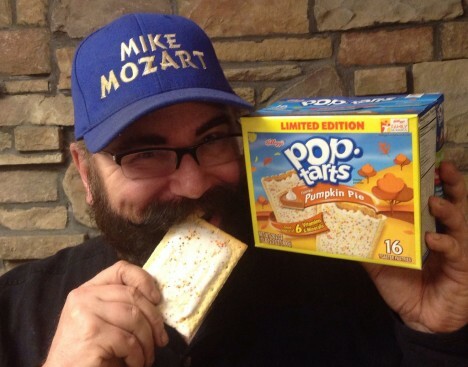 No doubt those are on the way but for now (actually, autumn of 2013), harvest-flavor aficionados like Mike Mozart will have to feed their craving with Pumpkin Pie Pop-Tarts. Mike appears to be enjoying them but will he look so cheery after nomming all 16? Hmm, last time someone ate a flag (we’re lookin’ at you, Zoidberg) there was hell to pay. Such considerations didn’t seem to bother Kellogg’s and the producers of American Idol back in July of 2006, however. 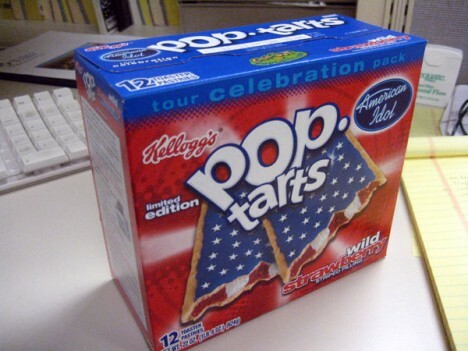 These limited edition Wild Strawberry-flavored and patriotically-frosted Pop-Tarts were promoted during the 2006 American Idol Tour. 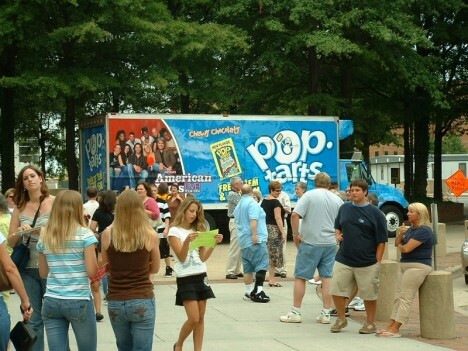 Judging from the crowd of snack-samplers above, free Pop-Tarts are the last thing America’s idle need.